The Second World War was a driver of rapid technological advances in both Allied and Axis nations, and Japan’s I-400-class submarine surely ranks as one of the most impressive feats of design and engineering of the whole war. It was the largest submarine ever built, and retained this title until the 1960s, when nuclear ballistic missile submarines were developed. The I-400-class submarine, also called the Sen Toku type, was a worthy predecessor to today’s super subs, with the ability to travel around the world one and a half times without refueling, and the incredible – and potentially devastating – capacity to carry three airplanes underwater. The I-400-class submarine was designed specifically to attack the continental United States, and if any of the planned missions had actually been carried out, tens of thousands of American citizens could have been killed. I-400 submarine under technical investigation. Soon after the Japanese attack on Pearl Harbor in December 1941, Admiral Isoroku Yamamoto of the Imperial Japanese Navy (IJN) wanted to put together a plan to attack the continental US. Working with Captain Kameto Kuroshima, Yamamoto developed the concept of the I-400-class submarine: a sub that could make a round trip from Japan to not only the west coast of the United States, but also any point on the globe, and deliver airplanes to within close striking distance of any target they chose. 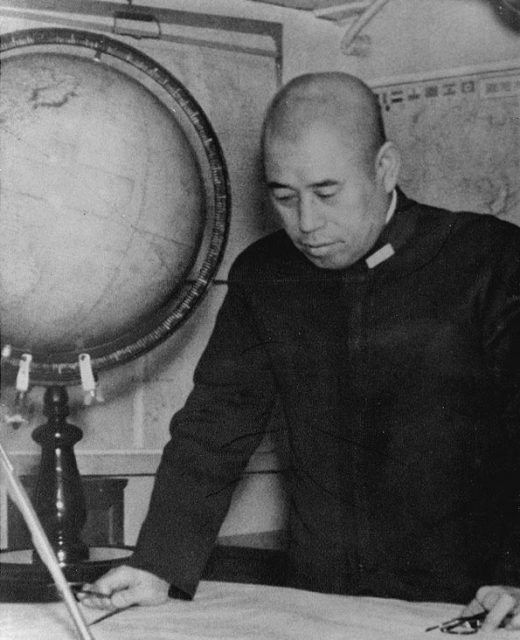 Admiral Isoroku Yamamoto, Imperial Japanese Navy Planning meeting photograph on battleship Nagato sometime in 1940, when he was Commander in Chief, Combined Fleet. The planes would thus be able to attack an unprepared and off-guard target with brutal efficiency. 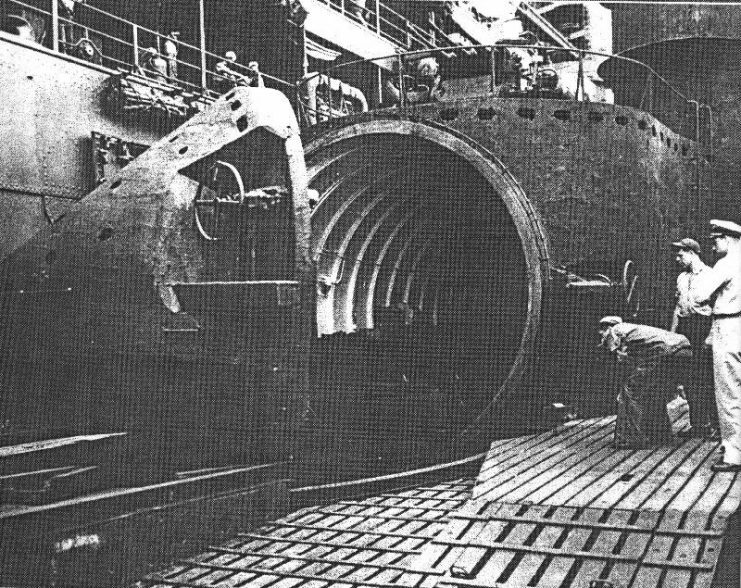 Yamamoto initially proposed that eighteen such submarines be constructed in preparation for an attack on both the eastern and western seaboards of the United States, but construction of such massive subs proved to be a complex and time-consuming affair, even with Japan’s best engineers working on them. Thus only three of them – I-400, I-401 and I-402 – were ever built, with only I-400 and I-401 seeing active service in the war. The specifications of the I-400-class subs were incredible, and they were far larger than any other submarine in existence at the time. An I-400-class submarine was almost 400 feet long and displaced 6,500 short tons. They had four 2,250 horsepower motors, capable of taking them on a round trip to pretty much any spot on the globe without refueling. The most astonishing feature, of course, was the aircraft hangar, which was able to house three Aichi M6A aircraft. As with any other military submarine, the I-400 class submarines were equipped with torpedo tubes for close range underwater combat. However, their enormous size and relatively small rudders resulted in unwieldy handling, so their captains preferred to avoid combat with other subs. Also, because they were so big, their dive time was double that of smaller and more maneuverable submarines, which made them vulnerable to aerial attacks. Whatever disadvantages their size caused, though, were offset by the fact that these gigantic submarines could deliver airplanes undetected to within striking distance of the American coast. 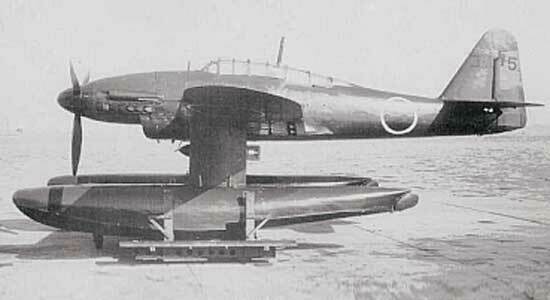 This made them a significant threat, especially in terms of the manner in which Yamamoto envisioned using them. Another thing the Japanese hoped to use the I-400-class submarines for was to attack and destroy the locks on the Panama Canal, thus cutting off a valuable American supply route to the Pacific. As the tide of the war turned against Japan, however, they had to abandon this plan and focus more on defending their territories in the Pacific theater. Despite their focus shifting to defense, the Japanese still believed that a particularly powerful strike against the United States could turn the tide of the war back in their favor. One particularly sinister operation that the IJN planned for the I-400-class submarines was called Operation Cherry Blossoms at Night. Officers of I-400 in front of the plane hangar, photographed by the US Navy following the surrender of the submarine at sea. They envisioned having the submarines deliver a number of Aichi M6A airplanes to the California coast, near San Diego. The airplanes would drop biological weapons on the city, killing tens of thousands of civilians and potentially affecting the entire west coast. This attack was supposed to take place in September 1945, but because Japan surrendered in August 1945 Operation Cherry Blossoms at Night never came to fruition. After the war, the US Navy took possession of all three I-400-class submarines as well as twenty-one other Japanese submarines. 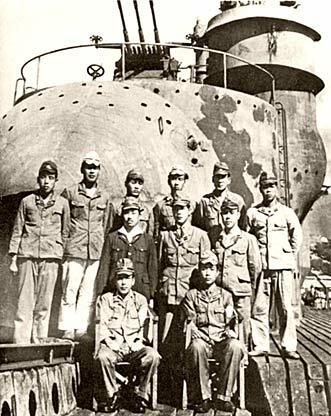 The 1-400-class submarines were taken, along with the others, to Sasebo Bay near Nagasaki to study them. However, the Americans soon received intelligence reports that Soviet agents were enroute to study the I-400-class. To prevent the secrets of the Japanese submarines from falling into Soviet hands, the Americans decided to destroy them. A number of these submarines were taken out to a spot around 20 miles southeast of the southernmost islands of Japan, where they were packed with C4 explosives, destroyed, and sunk. Two I-400-class submarines were, however, sent to Hawaii for further study. 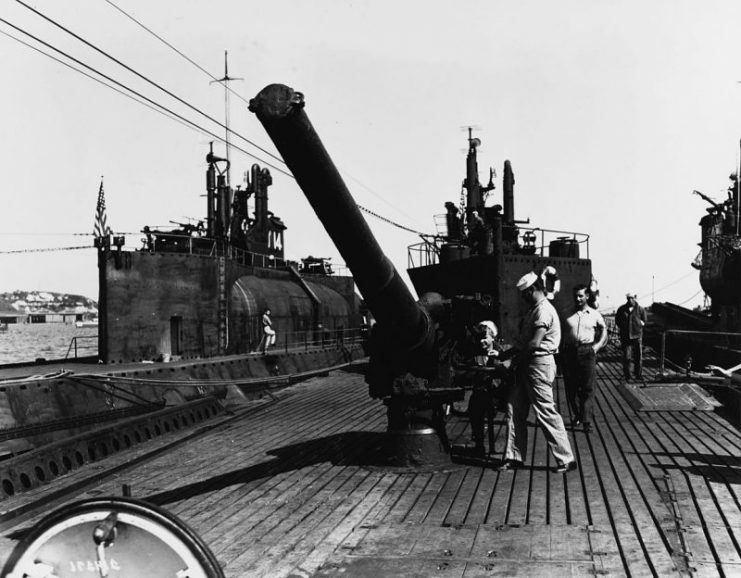 Once the US Navy had finished inspecting them, they too were taken out to sea, where they were torpedoed and sunk. The location of the wrecks remained secret until 2005, when the wreckage of I-401 was discovered by the Hawaiian Undersea Research Laboratory. However, as the wreck lies at a depth of almost 2,700 feet, whatever other secrets I-401 contains will likely remain at the bottom of the ocean.